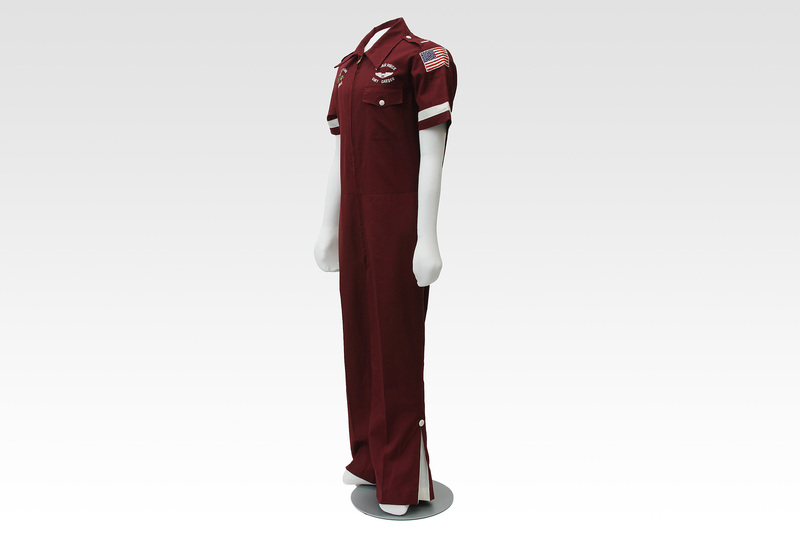 Party suits were unofficial uniforms worn by flying and flight support personnel for social occasions throughout Thailand and South Vietnam. 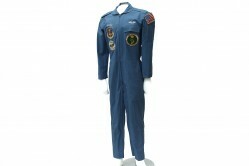 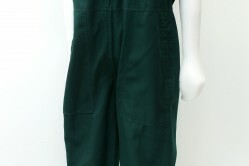 Based on the design of lightweight flying coveralls, they were typically created by local tailors in colorful fabric with patches and other embellishments. 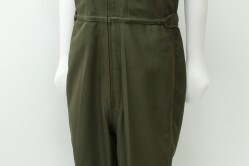 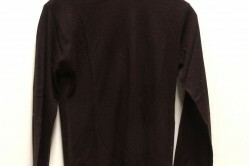 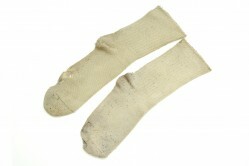 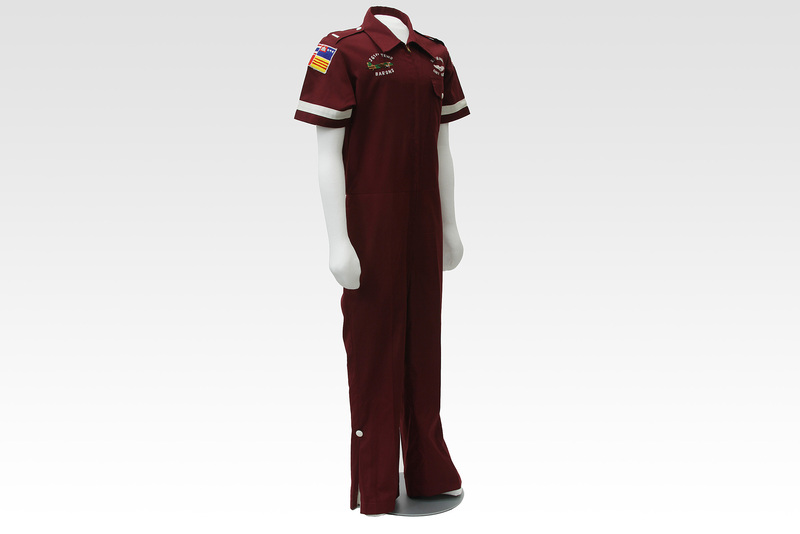 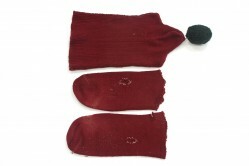 This maroon party suit with white accents was worn by pilot, Gary Garber, while was stationed at Phu Cat Air Base, South Vietnam, assigned to the 361st Tactical Electronic Warfare Squadron.